The out mayor is now polling ahead of Kamala Harris in the early caucus state, but still trails behind Biden and Sanders. 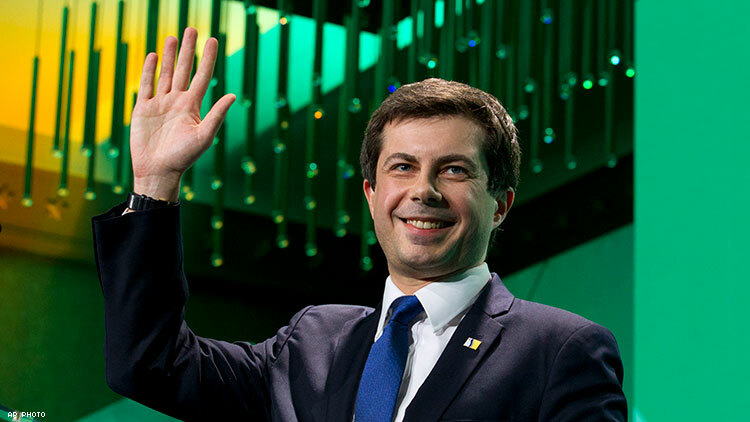 A new poll shows the presidential candidacy of gay South Bend, Ind., mayor Pete Buttigieg is picking up speed. 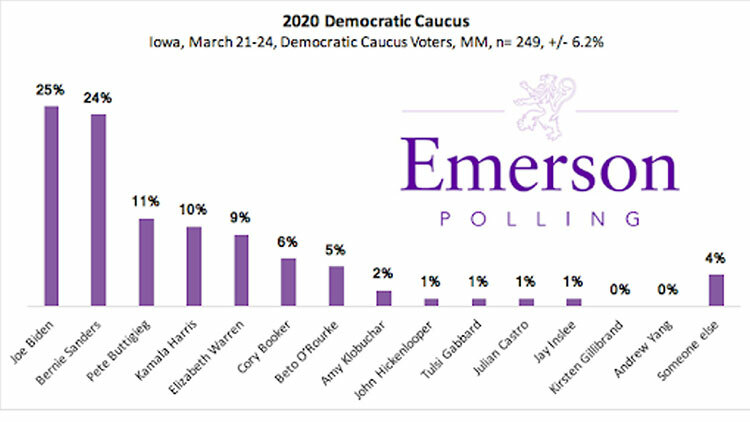 Emerson Polling released results of an Iowa caucus poll over the weekend that now puts Buttigieg in third place within a crowded Democratic field. With 11 percent support, Buttigieg trails behind only former Vice President Joe Biden, at 25 percent, and Vermont Sen. Bernie Sanders, at 24 percent. Of course, Buttigieg still claims less than half the support of the two front-runners in the poll. But the Iowa caucuses have also been notoriously difficult to poll with results that swing around until the end (as noted in 2016 by out statistical journalist Nate Silver at FiveThirtyEight). And a related caveat, this poll has an unusually high margin of error, 6.2 percent, which means he’s effectively tied with other contenders, like California Sen. Kamala Harris, 10 percent, Massachusetts Sen. Elizabeth Warren, 9 percent, New Jersey Sen. Cory Booker, 6 percent, and former Texas Rep. Beto O’Rourke, 5 percent. Still, this placing is historic for the openly gay candidate. Polling done nearly a year ahead of the caucuses usually demonstrate name recognition. One would expect a municipal figure from a low-media state to be polling similarily with anti-circumcision activist Andrew Yang, whose support registers as statistically insignificant in the Emerson poll. Rather, Buttigieg is quite apparent in survey results, particularly among younger voters. Sanders, who virtually tied eventual 2016 Democratic nominee Hillary Clinton in the 2016 Iowa caucuses, boasts 44 percent of respondents ages 18-29 in the Emerson poll. But Buttigieg comes in at a strong second with 22 percent. The poll shows Buttigieg winning over 15 percent of those who backed Clinton in 2016 and 8 percent of those who supported Sanders. However, in a sign of Buttigieg’s reputational standing, Emerson didn’t even bother polling a general election matchup between the mayor and President Trump, as they did for Biden, Sanders, Warren, Booker and Harris. And for what it’s worth, Biden and Sanders both beat Trump in Iowa, according to the survey, while all others lost.